No longer before, behind, or above the original, with surtitles, the translation is now parallel or simultaneous to it. 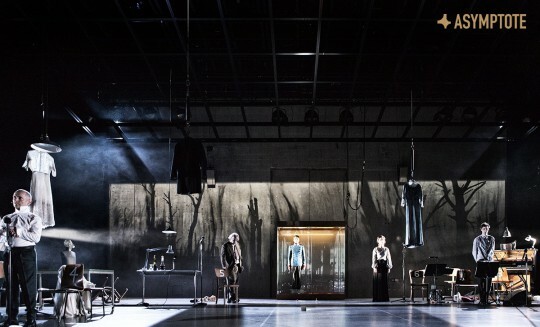 Lars Eidinger, playing Richard III, huskily whispers some German lines of Shakespeare into an amplifier, furtively glances up to the English surtitles, and spins round to berate a coughing audience member in French. This is theatre in a truly globalised arts scene. But the multilingual nature of many recent productions not only reflects the realities of our contemporary social conditions. It raises fundamental questions about the nature and role of the linguistic mediation of culture today. Hot off the press: the latest literary news from Latin America, Germany, and Austria! This week, we set off from Buenos Aires, where Editor-at-Large Sarah Moses reports on the hottest literary events around the country. Then Editors-at-Large Paul Worley and Kelsey Woodburn take us from Argentina to Guatemala, Mexico, and more, updating us on the latest cultural happenings around Latin America. That’s all before we jet to Europe with contributor Flora Brandl for a rundown on the contemporary German and Austrian lit scene. Buckle up! The Ciclo Carne Argentina reading series held its first event of the year on February 17 at Nivangio Club Cultural in the Boedo neighbourhood. The series, which recently celebrated its ten-year anniversary, has become a Buenos Aires institution. Poets and authors, both acclaimed and just starting out, are invited to read at each event. 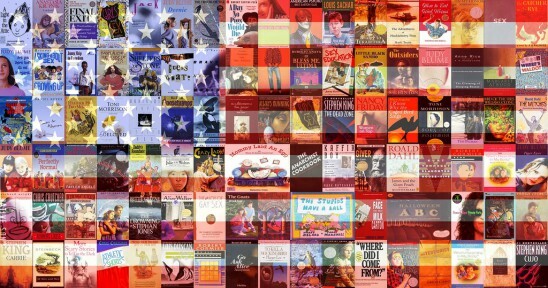 Since the series began in 2006, over 150 authors have shared their work at different venues across the city. The February reading featured six writers including Vera Giaconi and Valeria Tentoni. On March 3, the Seminario Permanente de Estudios de Traducción [Ongoing Seminar of Translation Studies] at the Instituto de Enseñanza Superior en Lenguas Vivas “Juan Ramón Fernández” [Institute for Higher Education in Living Languages] started off the year with a special session. The series provides a space to discuss theoretical and critical texts in the field of translation studies, as well as one in which writers, translators, researchers, and teachers can interact. Canadian poet, translator, and professor Madeleine Stratford presented her research on creativity in translation through an examination of the process of bringing Marianne Apostolides’s novel Swim (BookThug, 2009) into French. Stratford’s translation, Elle nage (La Peuplade, 2016), was a finalist in the English-to-French translation category for the Governor General’s Award, a prestigious Canadian prize. The British Council and the Filba Foundation, an NGO dedicated to the dissemination of literature, are hosting an upcoming conference and series of talks and workshops on the future of the public library. Gillian Daly, head of policy and projects at the Scottish Library & Information Council, will travel to Buenos Aires to share her experience, and the events are intended to serve as a dialogue between Scotland and Argentina. The conference will take place at the Museo del libro y de la lengua on March 10. From April 6-9, Filba Nacional, the organization’s national literary festival, will bring together close to 30 Argentinian authors for talks, readings, and other activities. Each year, the event is organized in a different location in Argentina, and in 2017 the Patagonian city of Bariloche will host the festival. This Friday, real estate mogul Donald Trump will be sworn is in as the 45th President of the United States. Last month, Italy’s citizenry voted effectively for the resignation of its Prime Minister, Matteo Renzi, in a referendum applauded by France’s right-wing, nationalist party leader Marine Le Pen, while another far-right conservative, Francois Fillon, is expected to win the French presidential election in May. Last summer, the world watched the historic Brexit vote, and Austrian presidential candidate Norbert Hofer, who ran on the promise of an Austrian Brexit, lost the nation’s vote by a very close margin last month. The political climate all over the west is profoundly changing, and those who failed to predict the current developments are scrambling to make sense of them. Book proposals by diplomats, pundits, and economists are flooding publishers’ inboxes, all claiming to have the most accurate analysis of the causes of Trump’s win or Britain’s isolationism. But a look at the past, and some past literature, suggests that perhaps we should be surprised at our own surprise. We gathered some book recommendations to prepare you for this Friday and the vast challenges ahead because—wait for it—knowledge is power (sorry!) and there are many already-published texts, many in the history category, with a wealth of relevant knowledge to impart. This Monday, we launched our Fall 2016 issue featuring many exciting names. 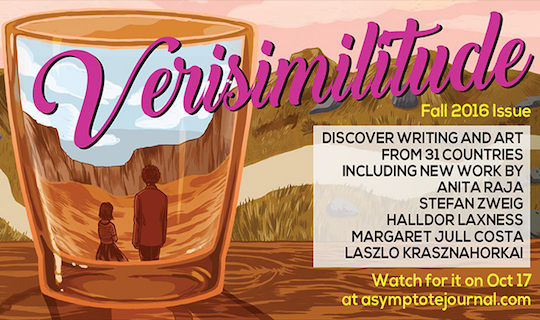 If you haven’t had the time to get into Verisimilitude just yet, we suggest a few great places to begin. Enjoy! Perhaps more than previous issues, the contents of the October 2016 issue of Asymptote, ‘Verisimilitude,’ center on the matter of language itself. This comes as no surprise to me. Nevertheless it is a great pleasure to read so many voices grappling with questions about language, place, and politics—all topics I hold dear. The humor and familiarity of miscomprehension in the opening lines of Maïssa Bey’s Cafés Morts are of particular warmth. I read this letter and wonder about its publication. I think about Benedict Anderson’s Imagined Communities and his arguments about how the nation is a mere constructed entity, created of fictions and mythologies woven together at a complex loom. I contemplate the meaning of the word nation with much greater reservation and doubt than Zweig does (or more like Vazha Pshavela does in Cosmopolitanism and Patriotism)—but his letter sticks with me. While it’s impossible for me to choose one favorite piece from the fall issue, I want to highlight Lidia Jorge’s The Bird Hypothesis not least because it’s an incredibly compact and affecting work. 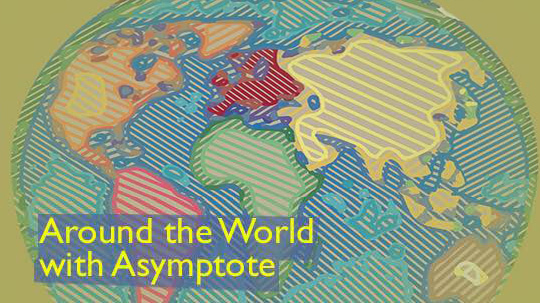 The 1997 short story was translated from the Portuguese for Asymptote by a group of four talented women working together—a collaboration that began at City University of London’s Translate in the City 2016 summer course. Acclaimed translator of José Saramago, Javier Marías, and others, Margaret Jull Costa initiated the project with three of the course attendees, all at various stages of their translation educations and careers. This type of collaboration and mentorship is invaluable to young translators trying to get published while not having any publications on their CVs, and to the growing (though still small) market for international literature.